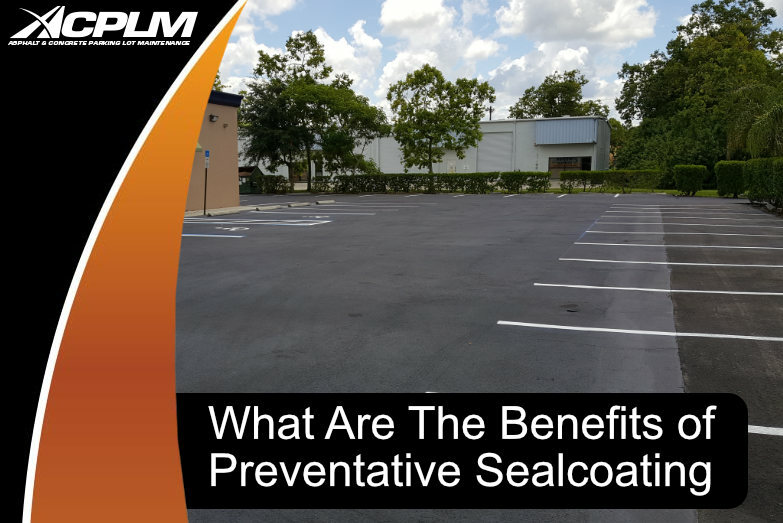 As time progresses, more and more business property owners are learning about the importance of sealcoating parking lots. 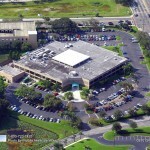 However, there is a question as to what type of weather is ideal for sealcoating. 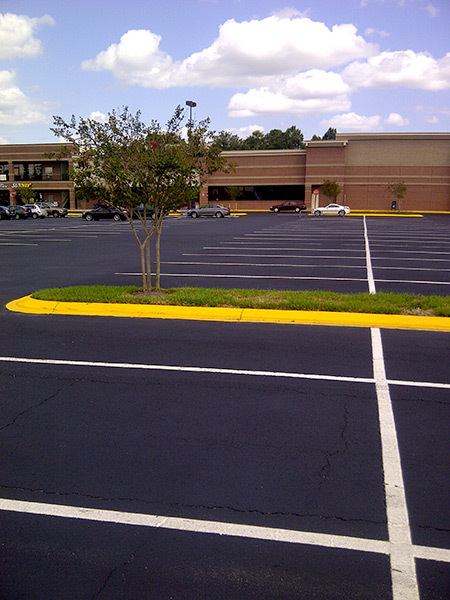 Sealcoating should not be applied unless the pavement and ambient temperatures are in a certain range. 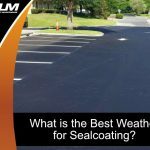 Here is a look at the best weather for sealcoating. 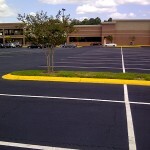 Sealcoating is best applied when pavement and ambient temperatures are at least 50 degrees Fahrenheit. However, the temperature should not be any higher than 85 degrees Fahrenheit. The pavement should not be wet. If there is any rain in the forecast for the day of the scheduled sealcoating, it should be delayed until the forecast shows no rain. The best weather for sealcoating is relatively arid conditions combined with a temperature between 50 and 85 degrees Fahrenheit. If the sealcoating is applied during a period of time when it is rainy or particularly cold/hot, the conditions will not be ideal for curing and elite performance in the years to come. 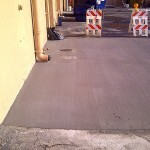 This is precisely why autumn is commonly considered the ideal time for sealcoatings. If you have not had your property sealcoated in years, do not delay this important form of maintenance any longer. Your lot will be subjected to all sorts of threats in the meantime. However, this is not to say you should rush into a project of this magnitude even when the best weather for sealcoating is not in the forecast for the upcoming days/weeks. 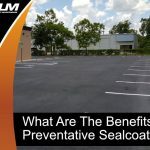 Though everything from the sun’s powerful ultraviolet rays to gas/oil spills from vehicles, temperature shifts and beyond can compromise your parking lot’s structural integrity, failing to wait for the best weather for sealcoating can compromise this project. 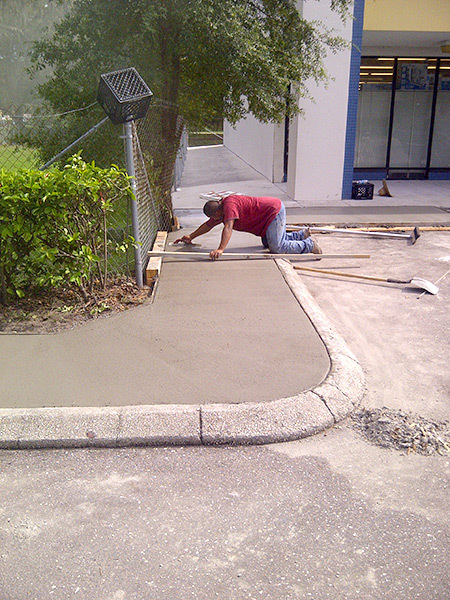 When in doubt, plan on the side of having your property sealcoated sooner rather than later. 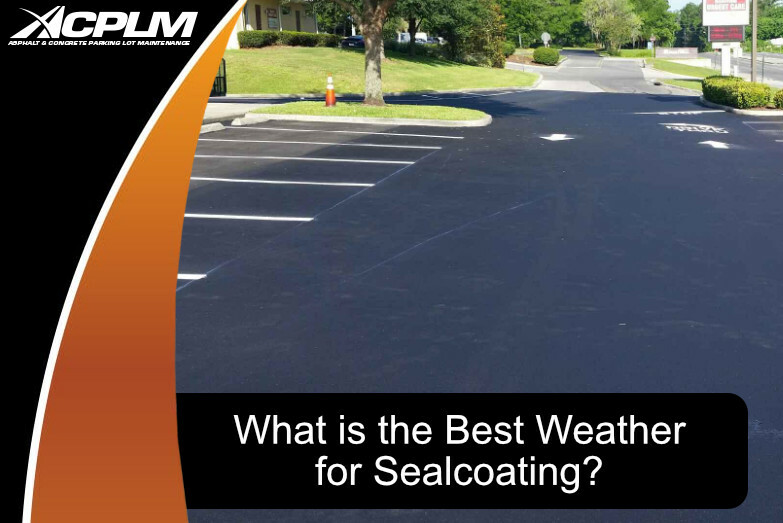 Should You Wait for the Best Weather for Sealcoating or the Perfect Weather for Sealing? 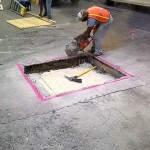 Industry insiders are well aware of the fact that manufacturers have unique specifications for sealing asphalt surfaces. No specific type of weather is ideal for sealing. 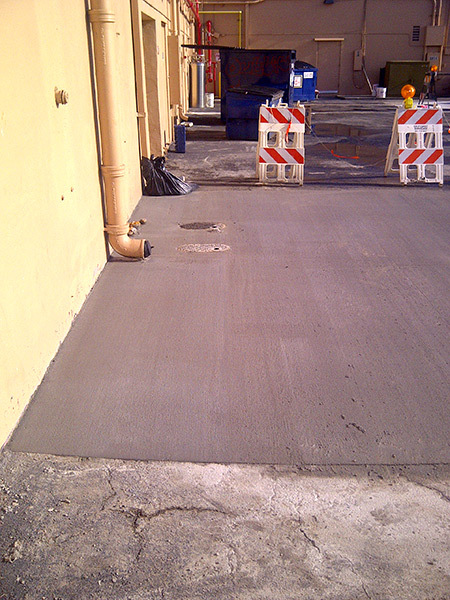 Rather, there is a range that each manufacturer provides to specify the ideal quality for the sealer’s application. 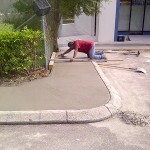 Put your faith in professional paving services to get the job done right. The bottom line is there is no perfect weather for sealcoating; rather, there is only the best weather for sealcoating. 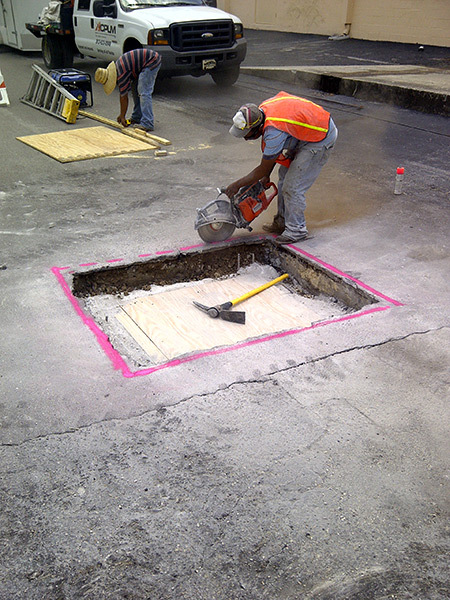 Those who have performed sealcoatings in the past are adamant the temperature range noted above combined with relatively dry conditions are the best weather for sealcoating. However, it is not enough for the temperature to be at this level for merely the day of the sealcoating. The temperature should be in this range for the 24 hours after the sealcoating. Ideally, the humidity will not be egregiously high. Fog, rain, and clouds are all problematic for sealcoating. 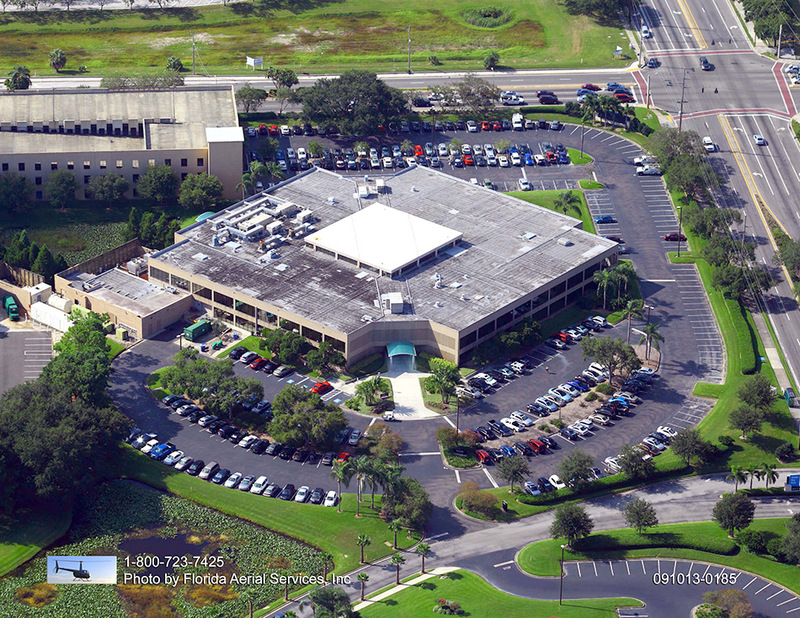 Nationwide sealcoating standards mandate the parking lot does not have standing water. Furthermore, a temperature in excess of 90 degrees mandates immediate cooling before the sealer can be applied. 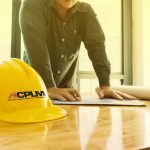 ACPLM follows these standards down to ensure customers are provided with the perfect sealcoating. 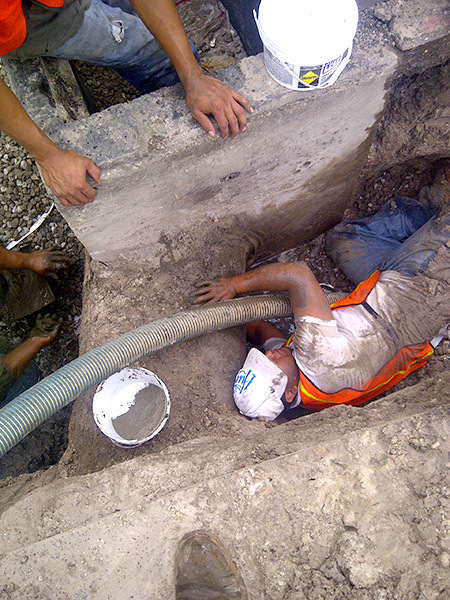 ACPLM sealcoating services are completed with unmatched precision. 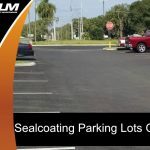 If you are interested in learning more about the best weather for sealcoating, parking lot paving or parking lot maintenance, contact ACPLM at (813) 633-0548.